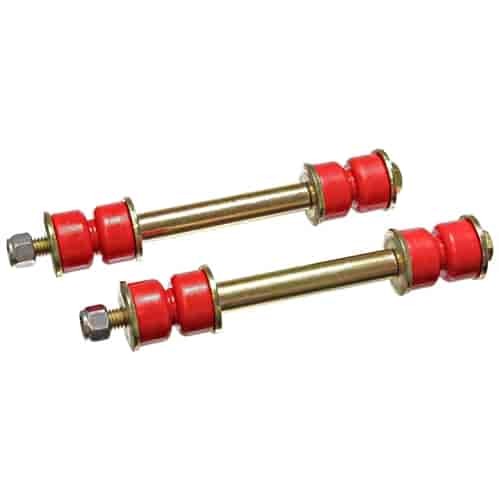 Energy Suspension Sway Bar End Links Universal Fixed Length 2-7/8"
Prothane 19-409 - End Link Bushing Set 4-1/2"
Energy Suspension 9-8165R - Adjust-A-Link End Links 4-5/8" to 5-1/8"
Energy Suspension 9-8119R - Sway Bar End Links Universal Fixed Length 3-3/8"
Does Energy Suspension 9-8118R fit your vehicle? 9-8118R is rated 5.0 out of 5 by 2. Rated 5 out of 5 by Ricko from Energy suspension sway bar links Fast and free shipping as always, perfect fit as expected and they look great.